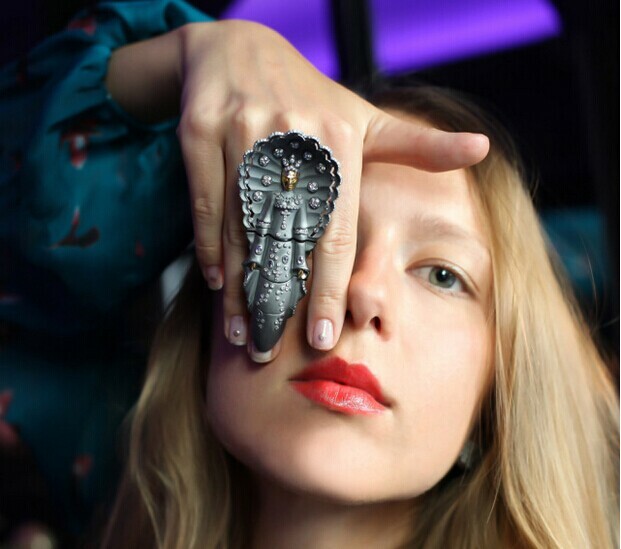 Compare with the straight and narrow rings, the rings with peculiar designs will be more likely to attract more attention. 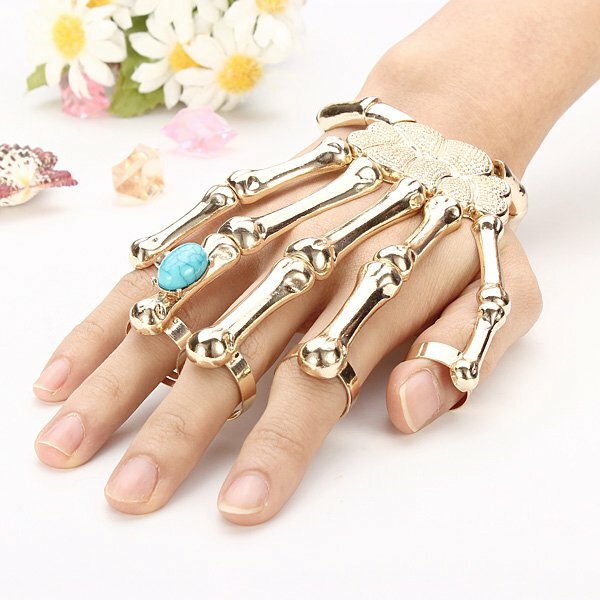 Nowadays in the fashion world, the common style fashion jewelry can no longer gratify people, something special are prevailing at present such as the single earring, Knuckle Double Finger Ring and so on. Some street snap hipsters have already deduced the fashion trends with them! Here we will share some special but beautiful design rings. It might be a little forced to call it rings, because it has exceed the category of rings which combine with the five finger together and cover the whole back of the hand. 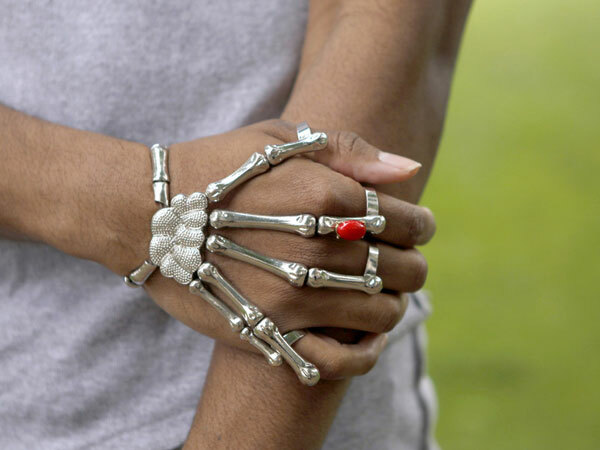 There is no denying that the skull shape of the Gold Skeleton Ring Bracelet is so cool. Though this kind of rings is not the beginning of the prevailing, but various and bold shapes rings emerge in endlessly in recent years. I really love this one; it is so beautiful with some flowers on it. What about this one, the double rings combine the two fingers together; it is so special and charming! And the combination of the two joint rings is fantastic as well! 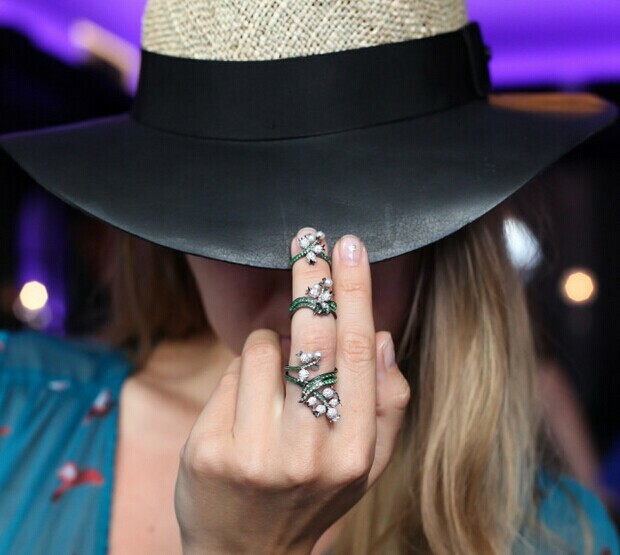 Here, Knuckle Double Finger Ring, the vintage style is always on the line of fashion trend! 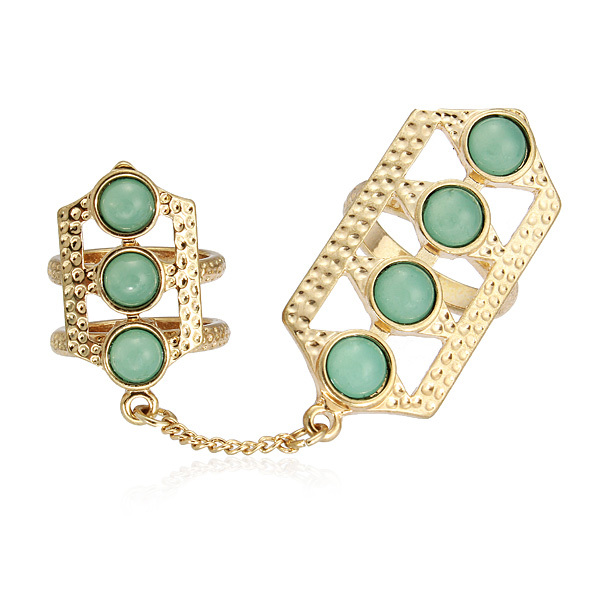 The green gemstone as well as the special design really eye-catching and makes me excited!